David Kuo, Jennifer Ding, Ian Cohn, Fan Zhang, Kevin Wei, Deepak Rao, Cristina Rozo, Upneet K Sokhi, Accelerating Medicines Partnership RA/SLE Network, Edward F. DiCarlo, Michael B. Brenner, Vivian P. Bykerk, Susan M. Goodman, Soumya Raychaudhuri, Gunnar Rätsch, Lionel B. Ivashkiv, Laura T. Donlin. Fan Zhang, Kevin Wei, Kamil Slowikowski, Chamith Y. Fonseka, Deepak A. Rao, Stephen Kelly, Susan M Goodman, Darren Tabechian, Laura B. Hughes, Karen Salomon-Escoto, Gerald F. M. Watts, William Apruzzese …, Laura T. Donlin, Jennifer H. Anolik, Michael B. Brenner, Soumya Raychaudhuri. Flares in Patients with Rheumatoid Arthritis after Total Hip and Total Knee Arthroplasty: Rates, Characteristics, and Risk Factors. William Stephenson, Laura T. Donlin, Andrew Butler, Cristina Rozo, Bernadette Bracken, Ali Rashidfarrokhi, Susan M. Goodman, Lionel B. Ivashkiv, Vivian P. Bykerk, Dana E. Orange, Robert B. Darnell, Harold P. Swerdlow & Rahul Satija. Dana E. Orange, Phaedra Agius, Edward F. DiCarlo, Nicolas Robine, Heather Geiger, Jackie Szymonifka, Michael McNamara, Ryan Cummings, Kathleen M. Andersen, Serene Mirza, Mark Figgie, Lionel B. Ivashkiv, …, Laura T. Donlin. Chamith Y. Fonseka, Deepak A. Rao, Nikola C. Teslovich, Susan K. Hannes, Kamil Slowikowski, Michael F. Gurish, Laura T. Donlin, Michael E. Weinblatt, Elena M. Massarotti, Jonathan S. Coblyn, Simon M. Helfgott, Derrick J. Todd, Vivian P. Bykerk, Elizabeth W. Karlson, Soumya Raychaudhuri. 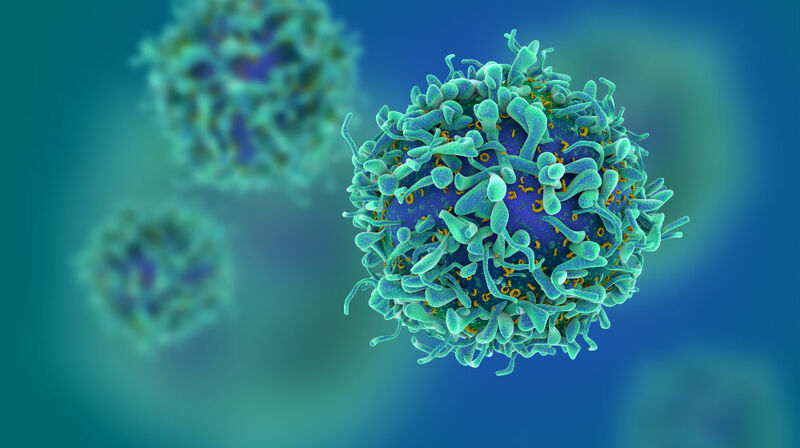 ​Pathologically expanded peripheral T helper cell subset drives B cells in rheumatoid arthritis. ​Deepak A. Rao, Michael F. Gurish, Jennifer L. Marshall, Kamil Slowikowski, Chamith Y. Fonseka, Yanyan Liu, Laura T. Donlin, Lauren A. Henderson, Kevin Wei, Fumitaka Mizoguchi, Nikola C. Teslovich, Michael E. Weinblatt, …, Michael B. Brenner. ​Modulation of TNF-induced macrophage polarization by synovial fibroblasts. Laura T. Donlin, Arundathi Jayatilleke, Eugenia G. Giannopoulou, George D. Kalliolias and Lionel B. Ivashkiv. ​Regulation of type I interferon responses. Lionel B. Ivashkiv, and Laura T. Donlin. Smyd2 controls cytoplasmic lysine methylation of Hsp90 and myofilament organization. Laura T. Donlin, Christian Andresen, Steffen Just, Eugene Rudensky, Christopher T. Pappas, Martina Kruger, Erica Y. Jacobs, Andreas Unger, Anke Zieseniss, Marc-Werner Dobenecker, Tobias Voelkel, ..., Wolfgang A. Linke. Regulation of medullary thymic epithelial cell differentiation and function by the signaling protein Sin. Nichole M. Danzl, Laura T. Donlin, and Konstantina Alexandropoulos. ​Deficiency in expression of the signaling protein Sin/Efs leads to T-lymphocyte activation and mucosal inflammation. Laura T. Donlin, Nichole M. Danzl, Celestine Wanjalla, and Konstantina Alexandropoulos. The adapter molecule Sin regulates T-cell-receptor-mediated signal transduction by modulating signaling substrate availability. Luzhou Xing, Laura T. Donlin, Rebecca H. Miller, and Konstantina Alexandropoulos. Alexandropoulos K, Donlin LT, Xing L, Regelmann AG. ​Defective thymocyte maturation by transgenic expression of a truncated form of the T lymphocyte adapter molecule and Fyn substrate, Sin. Donlin LT, Roman CA, Adlam M, Regelmann AG, Alexandropoulos K.
Identification of diverse nerve growth factor-regulated genes by serial analysis of gene expression (SAGE) profiling. Angelastro JM, Klimaschewski L, Tang S, Vitolo OV, Weissman TA, Donlin LT, Shelanski ML, Greene LA.